Koger Cosmetic Clinic & Medspa offers chemical peels for men and women in Palm Beach County, including West Palm Beach, Vero Beach, Wellington, and the surrounding areas of Florida. Chemical peels are medical-strength professional skin care products that utilize safe chemicals and replenishing nutrients to exfoliate the skin and stimulate the growth of new cells. Additionally, chemical peels can help to diminish surface bacteria, which can help to control acne breakouts and hyperpigmentation. They are also helpful in reducing the appearance of fine lines and wrinkles. We offer a selection of chemical peels to help a wide variety of skin types. Perfect Peel™ – Reduce the appearance of lines, wrinkles, freckles, acne scars, sun damage and more with the Perfect Peel™ cosmetic facial. This innovative peel utilizes a special antioxidant called glutathione that penetrates deep into the skin to help control the unwanted effects of aging. It can be used for all skin types and requires no prior preparation. Additionally, the procedure is short and virtually painless. Within a week, you will start to see an improvement in the firmness and smoothness of your skin. Organic Peel – An organic peel is a more natural take on the traditional chemical peel. Our organic peels utilize a combination of fruit acids to offer a mild resurfacing peel to all patients. This peel is perfect for patients who have more sensitive skin or who wish to use less harmful ingredients during their visit. Similar to the conventional peels, the organic peel is efficient in reducing the appearance of wrinkles, rough skin, hyperpigmentation, sunspots, and fine lines. It has also been proven effective in softening stretch marks and acne scars. It is safe, effective, gentle, and requires no downtime following the procedure. Revitalize your skin using the therapeutic power of nature with an organic, all-natural peel. Microdermabrasion – Polish your skin and reveal a smoother, brighter skin surface using microdermabrasion. The intended purpose of this procedure is to revitalize your skin and reduce the appearance of unsightly blemishes and scars. However, microdermabrasion generally offers a gentler procedure that, when administered properly, can sometimes be more effective. Using a rough exfoliating ingredient, the doctor will use a circular motion to scrub away any impurities. Successfully treat sun damage, wrinkles, rough texture and acne scars. Certain microdermabrasion techniques have even been FDA-approved to treat stretch marks. Salt-A-Peel™ – Experience incredible results with no chemicals. The Salt-A-Peel™ macrodermabrasion procedure utilizes natural, non-toxic ingredients to gently but effectively scrub away any imperfections and unwanted bacteria on the skin. This therapy treatment is mild and can even be considered relaxing. It uses a water-soluble salt solution to safely polish the skin, leaving it feeling smoother after just one treatment. Its unique crystallized scrub effectively rubs away skin blemishes, such as acne scars, stretch marks, fine lines and wrinkles, sunspots, and more. Jessner’s Renewal Peel – A Jessner’s peel is a moderate-strength chemical peel that can be very effective in the treatment of acne, skin discoloration, sun damage and fine lines. This is especially beneficial for patients with oily skin though it can be enjoyed by most skin types. A Jessner’s peel uses a combination of lactic acid, resorcinol, and salicylic acid to help exfoliate deep into the layers of skin to result in clear, smooth skin. Results are usually visible within a week and can be long lasting when properly cared for. This type of peel can be applied to the face, chest, hands or neck. KogeRX TCA Peel – TCA, or trichloroacetic acid, is a popular ingredient in moderate to strong chemical peels. It is used to treat the appearance of unwanted facial blemishes, fine lines and wrinkles, uneven skin pigmentation or rough skin texture. More than one treatment may be required for those with persistent skin conditions. Depending on the strength and grade of the required treatment, some downtime may be required, but results are generally visible within two weeks. A KogeRx TCA peel is a great solution for individuals who wish to improve the tone, texture, and vibrancy of their skin. Chemical peels are a great way to exfoliate the outer layers of skin, which promotes new skin growth. The new skin is smoother and softer than the rough outer layers, so your skin has a fresher, more vibrant appearance in as little as one week. 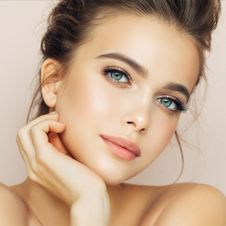 Whether you are looking for cosmetic rejuvenation or advanced clinical therapy for cellular repair or hydration, we have a treatment that will suit your needs. Chemical peels are minimally invasive outpatient procedures. Sessions vary in length, but patients are free to return home the same day. Each treatment differs in strength and thus the recovery process for each patient may vary. Some procedures are fast-acting, and patients may be fully recovered within a week while stronger procedures can take up patients to two weeks to fully recover. Following a chemical peel, your skin will be sensitive and vulnerable. 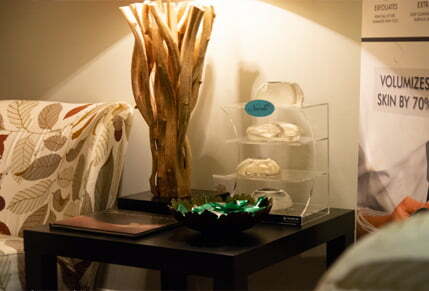 It is important to carefully follow the directions of our highly experienced aestheticians. During your consultation and following your treatment, any pertinent instructions and guidelines will be explained to you. Mild pain medication may be prescribed to help alleviate any discomfort. Chemical peels are considered an elective procedure and are usually not covered by insurance companies. In order to make chemical peels available and affordable for everyone, we offer financing options. Dr. Koger is a board-certified plastic surgeon who offers chemical peels for residents of West Palm Beach, Vero Beach, Wellington, and the surrounding areas of Palm Beach County. Contact us to schedule a consultation.